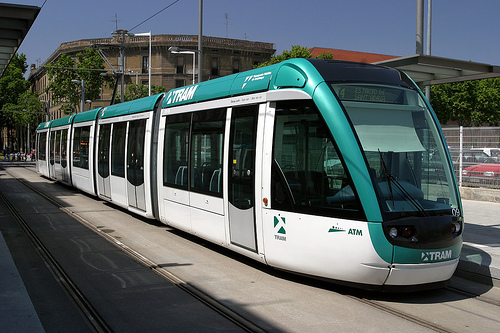 The overall transit system in Barcelona are managed by the Autoritat del Transport Metropolita (ATM). All fares are integrated by this company. Barcelona was the first city in the country of Spain to inaugurate trains, in the mid 19th century, and transit has developed greatly ever since. Barcelona has two different subway systems that are integrated, and cover practically all of the metropolitan area. The subway system is fast and efficient, and trains will usually show up no later than 5-10 minutes in between one another. The subway system contains lines in the city proper, managed by Transports Metropolitans de Barcelona (TMB), labeled L1-L5, and L9 & L11. The Ferrocarrils de la Generalitat de Catalunya (FCG) manages L6, L7 and L8, and they connect to some surrounding suburban locations. A few new lines are under construction or extension, and there are few proposed lines for the future. The subway is located underground within the city proper, and is located above ground in the suburbs. The Barcelona subway system takes up a total of 113 kilometers of track, with 152 stations. Some stations are closed down permanently or discontinued. All of the stations in Barcelona are clean and easy to figure out. The system was created for the Olympics, so many of the stations are centered around main tourist attractions. If visitors are confused or lost, locals are usually very helpful to point them in the right direction. 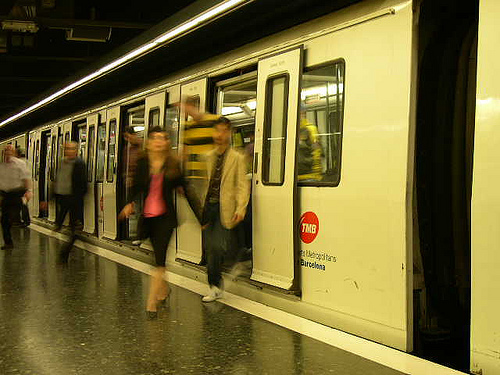 The Barcelona subway operates from 5:00 AM-12:00 AM from Sunday through Thursday, and from 5:00 AM-2:00 AM on Fridays. On Saturdays, there is continuous service. Tickets cost 1.40 Euros for a single pass, but it is much more economical to buy multiple passes, like the T10, which gives you 10 rides within zone 1. The T10 costs 7.85 Euros. Buses run throughout the city of Barcelona through dozens of lines, and connect to two major stations. Buses are much slower than the metro, but offer passengers excellent views of the city. The bus system operates daily from 6:05 AM-10:35 PM. Barcelona used to have an extensive tram network during the 20th century, but most of the network was discontinued in 1971. The only line that had remained from that era was the Tramvia Blau. However, in 2004, two new tram lines were open. The Trambaix goes along the western part of the city, and the Trambesos runs across the eastern part of the city. Each of these systems has three routes, and there is prospective expansion.